This morning as I checked my regular blogs, I woke up to a lovely image of a whimsical room that has been painted only halfway up the wall. I also woke up to a door being flung in my face, specifically my nose, but that’s just one of those perks that comes with being the parent of a little boy with lots of energy and little consideration for your vanity/pain tolerance (in all fairness, he did bring me a bandaid after the fact). I love the basic white paired with bright aqua; it’s clean yet has a great pop! Normally, we see this technique all the time when there is a chair rail in place, but here, the homeowners just decided to fake the architectural elements as they went along! To see a little bit more about this room, which belongs to a little girl named Elsa, head over to Deuce Cities Henhouse. Another space that I’ve been loving which applies the same “half painted” technique is this one. It’s a version of molding, and it’s very modern and super lovely. 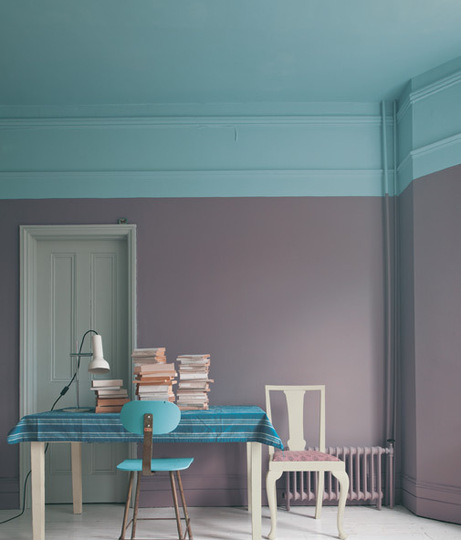 The image is from Farrow and Ball, makers of fabulous paint and clearly purveyors of good ideas! 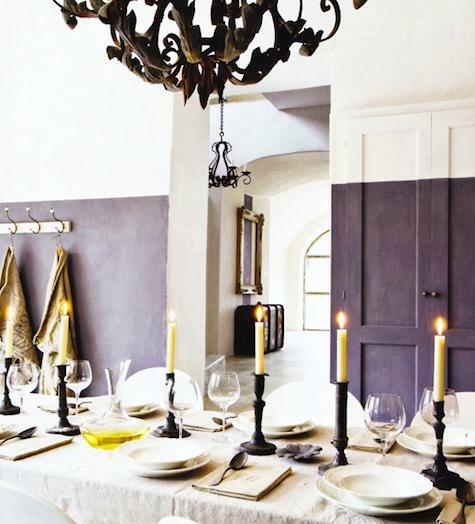 Here’s yet another one, which uses an eggplant jewel tone that makes the room both sophisticated and irreverent. 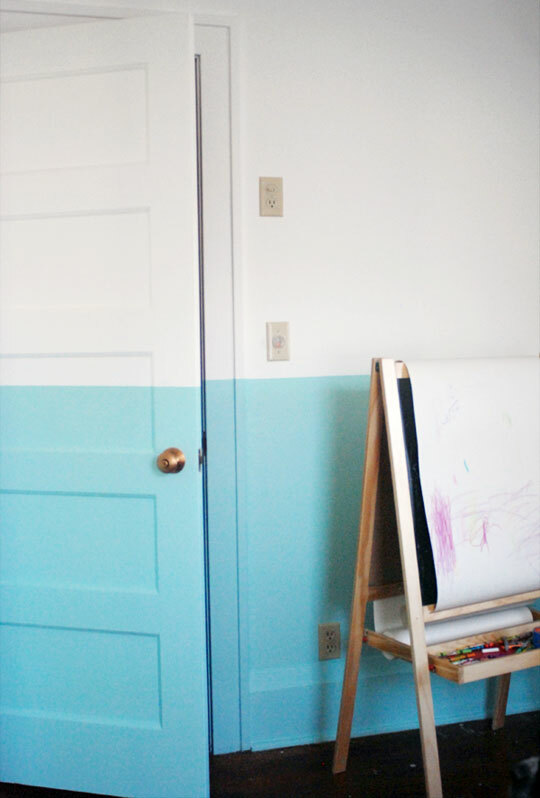 I love how they just painted over the door paneling as if it weren’t a big deal at all. And finally, for those of you who are truly daring, here’s a fantastic room that is basic white with a touch of color…in the form on a random rectangle that overlaps trim, window detailing, and the wall. Talk about breaking the rules! Do you dare try any of these techniques on your wall? Or do you prefer to just lust (or look quizzically) at them via photographs? ← Five Under $50: Simple Sheer Window Panels!